Kenneth Ray Pribble, age 89 entered the gates of heaven peacefully on Tuesday, January 15, 2019 at VNA Hospice Center. Survivors include his loving wife of 68 years, Betty JoAnn Pribble (Nee Von Almen); 3 sons: Randy, Larry (Barbara) and Kevin (Angela) Pribble; 3 grandchildren: Angela (Bobby) Figueroa, Michele (Bobby) Klut and Justin Pribble; 1great grandchild, Ayden Figueroa; 1 sister, Betty Jean (Tom) White; several nephews cousins and friends. Preceded in death by his parents: Luther and Lorena Pribble and brother George Pribble. Funeral service will be held on Friday, January 18, 2019 at 10 a.m. at Bocken Funeral Home 7042 Kennedy Ave. Hammond (Hessville) with Pastors Don Rector and Mark Hostetler officiating. Burial will follow at Elmwood Cemetery, Hammond. Friends are invited to meet with the family for visitation on Thursday, January 17, 2019 from 6 p.m. until 8 p.m. at Bocken Funeral Home. Ken was a lifetime resident of the Hessville area. He was a proud Army Veteran of the Korean War and was awarded numerous medals. Ken was a retired truck driver and member of the Teamsters Union. After retiring he enjoyed spending time at their summer home in Coldwater, Michigan where he would fish and boat. 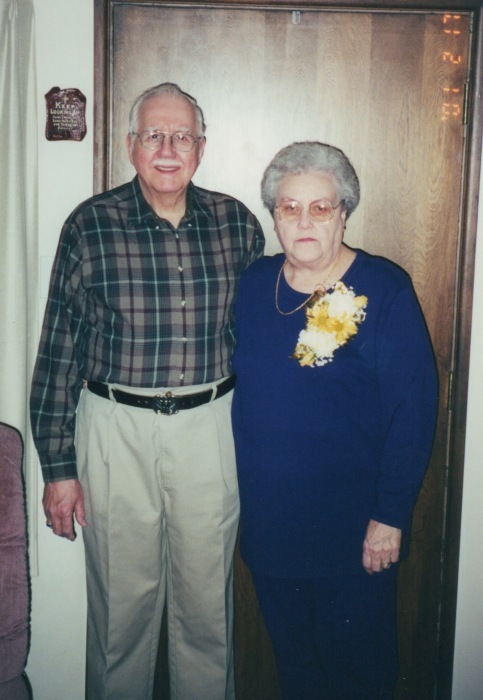 He was a faithful member of Hessville Baptist Church and most recently Calvary Baptist Church. Ken was a loving husband, father, grandfather, great grandfather and friend who will be dearly missed. In lieu of flowers memorials to VNA Hospice Center would be appreciated at www.vnanwi.org for additional information contact Bocken Funeral Home 219-844-1600 or www.bockenfunerals.com.